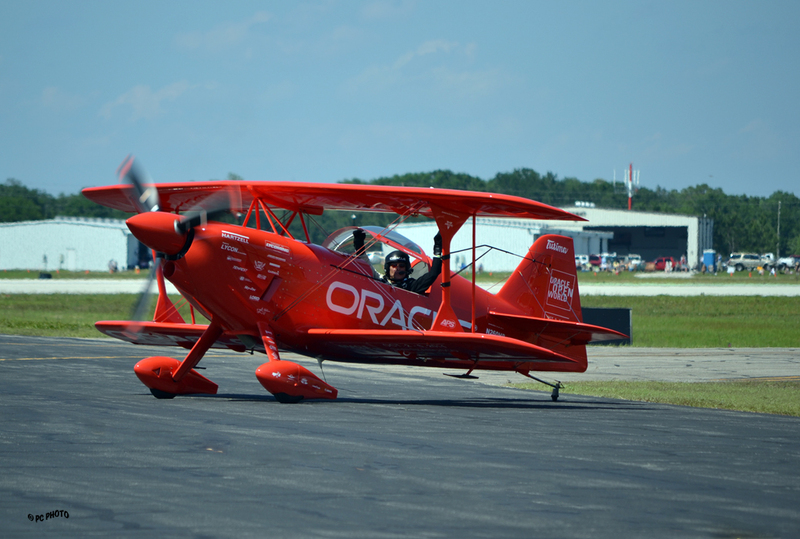 The pilot of this Bi-Plane called the ORACLE landed after his amazing stunts in the sky. The reaction to the performance was so strong that he turned the plane on the taxiway to face the viewing area and INTERACTED with the crowd by raising his hands as a sign of thanks to the cheers. Bi-planes are often thought of as old time airplanes also called barn stormers however, this particular aircraft is modern day made of lightweight polymer materials.